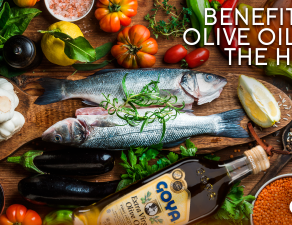 The third edition of Iberoleum Guide has recognized Goya® “Organics” Extra Virgin Olive Oil as the best coupage in Spain for the 2017-2018 campaign. 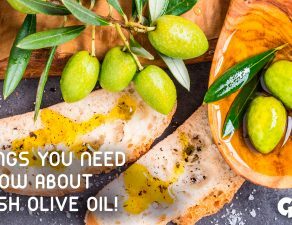 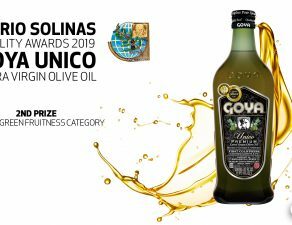 This recognition is added to the 2nd place ranked by this Premium Extra Virgin Olive Oil (EVOO) in this guide of the best spanish Extra Virgin Olive Oils, with a total of 95.5 points. 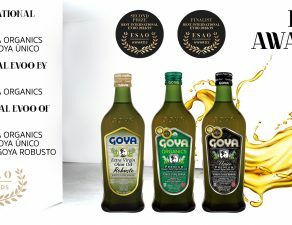 Goya “Organics” Extra Virgin Olive Oil is a blend of the Picual, Hojiblanca and Picuda varieties which guarantee an extraordinary sensory experience: an intense fruity green aroma, with notes of herbs and green leaves, hints of tomato, apple, green almonds and artichokes, a balance between a bitter and peppery taste on the palate, harmonious and elegant. 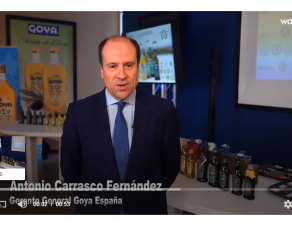 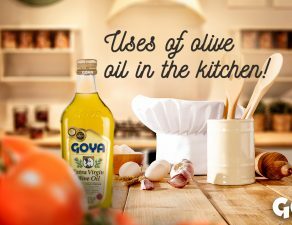 This recognition is a reward for more than four decades of effort by Goya® Spain to offer the consumer EVOOs made and packaged with the best extra virgin olive oils from Spain. 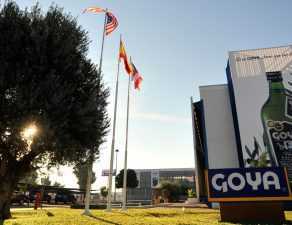 This aspect is confirmed by the Management area of the factory located in Seville: “The know-how of a packer lies in the selection and production of complex and harmonious coupages ‘authentic recipes of up to 5 varietals’ as we do in Goya Spain”. 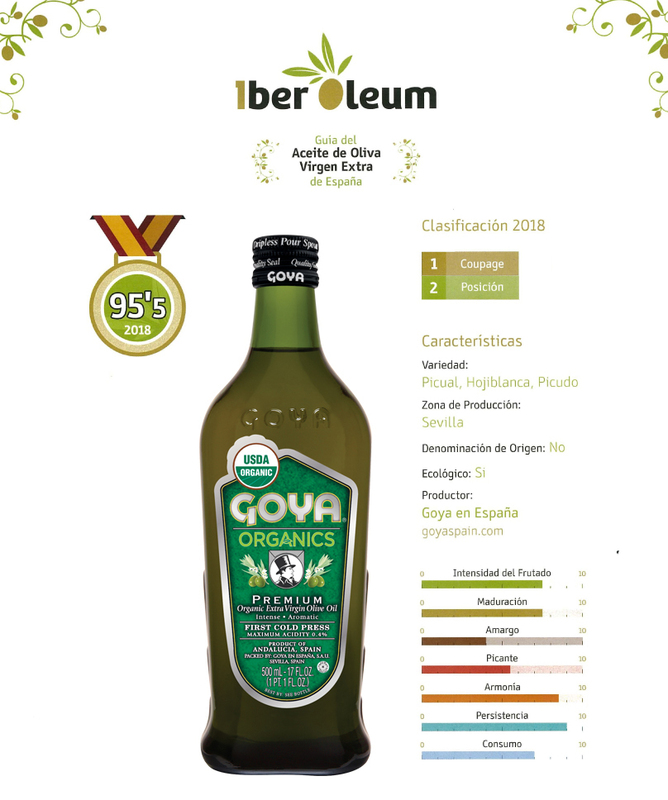 The recognition of the IberOleum Guide to an extra virgin olive oil as the best coupage – comparable to what an olive oil mill would have for a monovarietal-, is the greatest satisfaction of all packers. 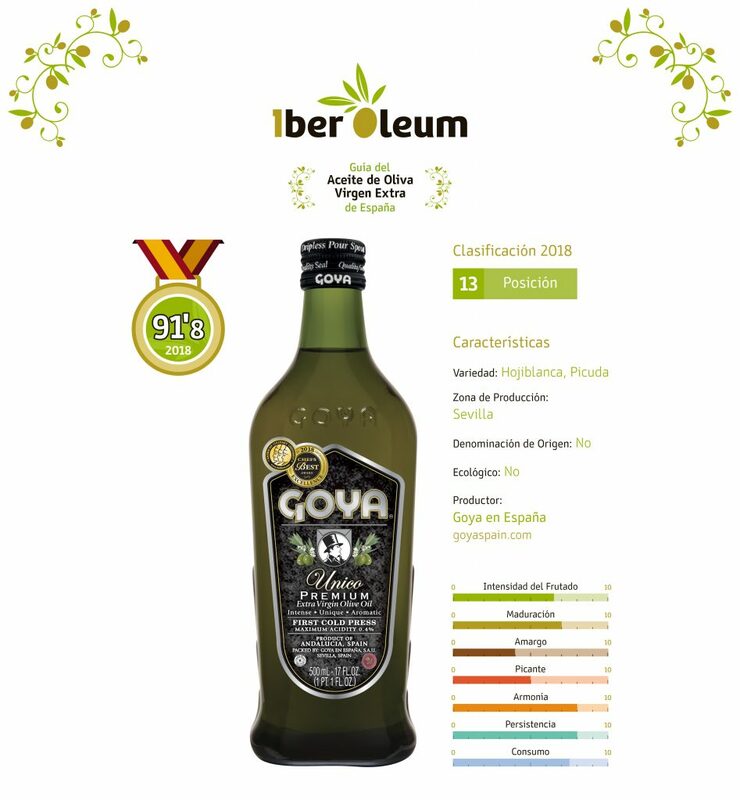 Together with “Organics”, the IberOleum Guide has also recognized Goya “Único” Extra Virgin Olive Oil, as the 13th best EVOO in Spain, with a total of 91.8 points.